This ring is a gorgeous combination of an exquisite Tahitian pearl and sparkling diamonds. 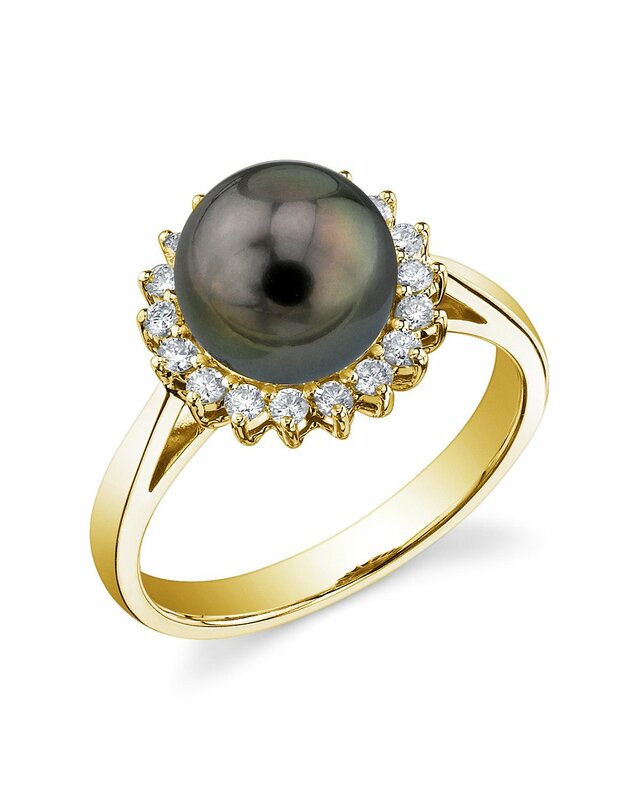 A gorgeous 14K white gold ring with a beautiful 8mm high quality Tahitian South Sea pearl with 'Very High' grade luster. Adorned with 18 beautiful diamonds, this stunning ring exhibits all the beauty the South Sea has to offer! If you have any questions, feel free to call us anytime at 866-87-Pearl (866-877-3275).